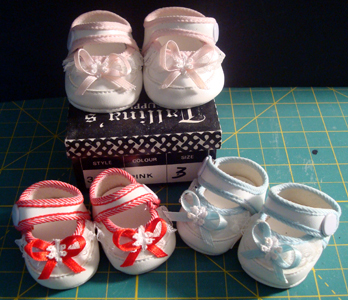 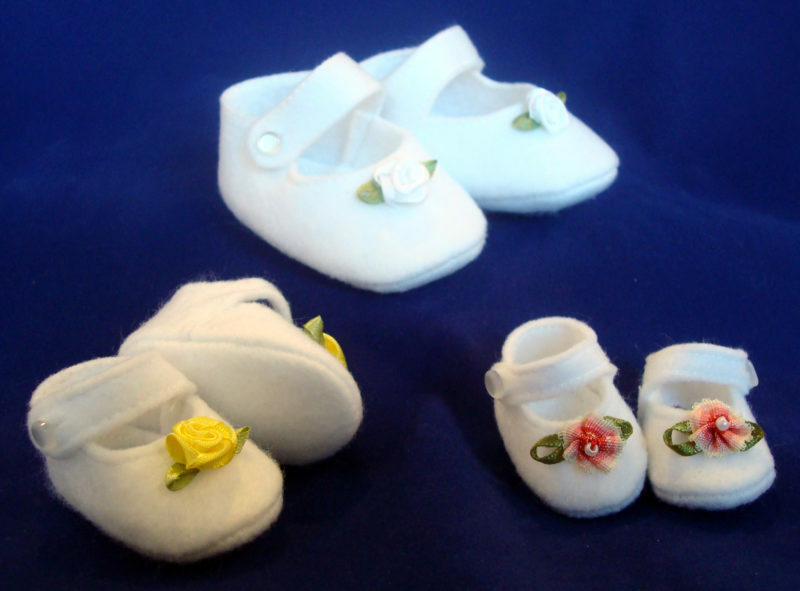 These Modern Baby Doll Shoes are a soft Mary Jane style made of white felt that button on the side. 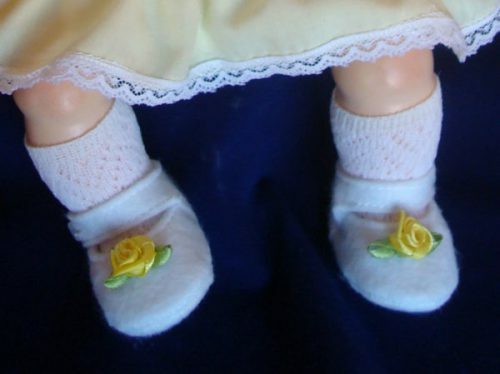 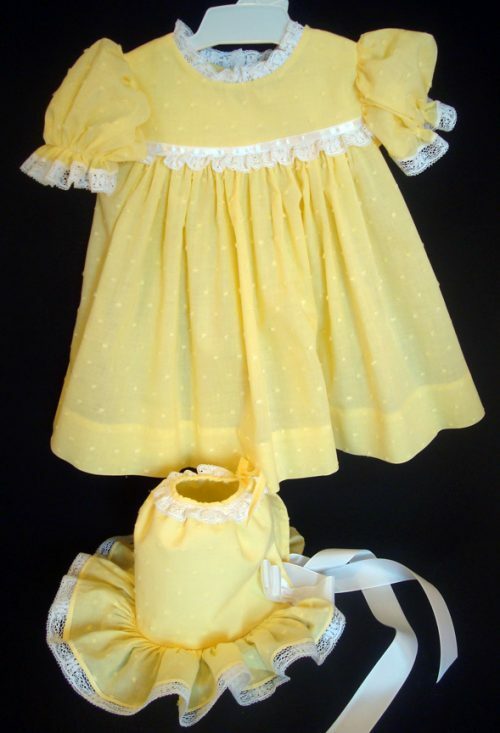 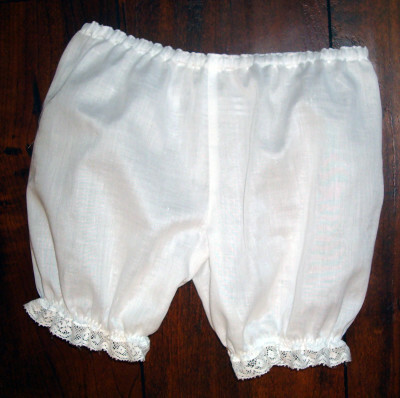 They are intended for the chubby baby feet on modern vinyl baby dolls from about 1960 to the present. 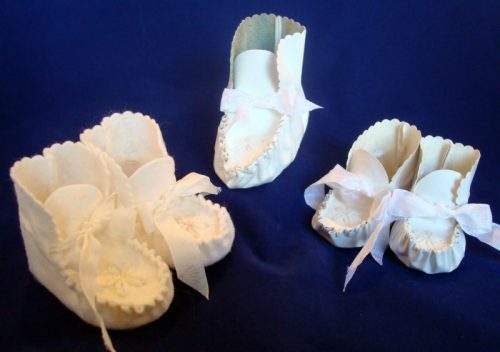 The soles are soft so they conform to the different shapes of chubby baby feet with turned up or spread toes.